Book Launch Took Place . . . This chapbook tells the story in verse of Nancy Green, a homeless woman standing in the street. She asked to tell her story. This moving account by poet and author Emily Isaacson reminds us of what matters in this life and how precious humanity is to God. I found The Blossom Jar very moving. I liked the premise of the work (and was very touched that Shoalwan had inspired you) and your linking this theme with a particular story of homelessness. Using the whole year of seasonal cycles was a great idea, so taking a whole year was necessary for the creation of your project. 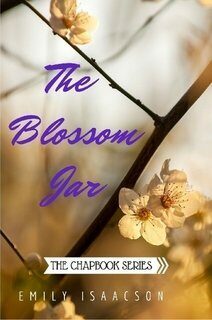 The Blossom Jar touches on the fact that even though others may live differently than us; all behaviour makes sense, although we may not condone or understand it. Acceptance and compassion go a long way to understanding someone's story. --Lexi Richards, director of Community Kitchens in Mission, B.C. Powerful and deeply beautiful--we need to hear and embrace these wounds and this healing!